Ariadna and Fernandos tango sparkles with esprit, charme and playfulness. They beam with great musicality and delightful intimacy. They impress with freshness and authenticity of their youth and a technique that combines tradition and creativity. They transmit all that when they teach. 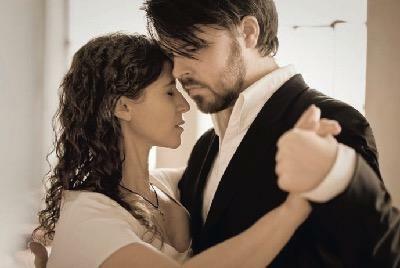 Despite their youth Ariadna and Fernando have a deep understanding of traditional tango and they have been teaching tango for years in Buenos Aires and on festivals around the world. The space inside the couple to develop the dance. Shapes and dynamics of the embrace. Impulse and the containment. The limit of the movement. Enrosque for Men and Women. Pivot at its best. Basic milonga. Relation couple-music. Exercises and sequences. Fast Milongas. Change of dynamic. Turned movements for reduced spaces. How to take advantage of the pivot.